1 Esdras is an alternative version of the book of Ezra-Nehemiah in the Septuagint. Most Eastern Orthodox churches accord the book canonical status. 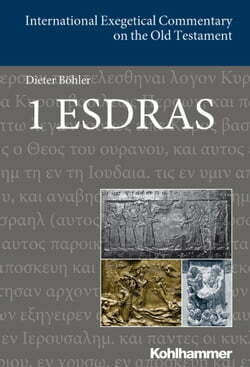 This is the first commentary on 1 Esdras based on the critical text of the Göttingen Septuagint edition. It understands 1 Esdras not simply as a... read more fragment of the Chronistic history or as merely a compilation, but rather as a coherent narrative. Its interpretation as a literary work and the reconstruction of its composition take into account both the historical backgrounds of the narrative setting of the Persian period and the historical location of the composition in the Hasmonaean period. 1 Esdras is currently enjoying a period of renewed attention in scholarship. Its relationship to Ezra-Nehemiah is seen as a prime example of literary-historical developments in Israel.